Our Hollywood-approved UPMAX®-II upmixing/downmixing algorithm creates engaging 5.1-channel audio from 2-channel sources and provides a downmix that is nearly indistinguishable from the original source. 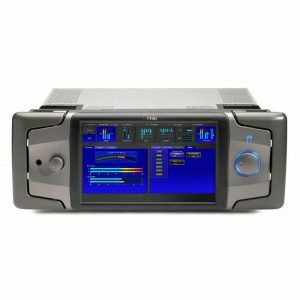 Available configurations for each instance include AMX5.1 (one 5.1 channel and two 2-channel processing engines), AMX2.0 (three 2-channel processing engines, one with 5.1-channel downmixing) and AMX5x2 (five 2-channel processing engines). 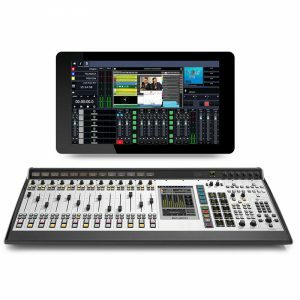 Flexible signal routing is provided for main and secondary audio programs plus EAS and local emergency audio insertion. The first processing engine of any AMX instance be optionally configured to decode from and/or encode to Dolby® Digital, Dolby Digital Plus, and Dolby E. Nielsen® watermark encoding is also optional. 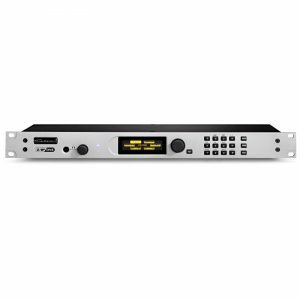 Designed and built in the USA, the AERO.2000 platform itself supports 8 audio pairs via SDI I/O with SDI video delay and 8 pairs via AES. Failover bypass relays maintain signal continuity and dual auto-ranging power supplies enable redundancy and worldwide compatibility. Front panel controls, color display, and headphone output offer the ability to monitor and adjust the unit locally while the included NfRemote software provides comprehensive control over system settings and processing parameters remotely from any PC including access to the built-in http server for automated control or retrieval of loudness logs. 48kHz via AES DARS (or any AES signal applied to the Ref In connector), AES In 1, SDI, or from the internal 48kHz clock (standalone use only). Eight main inputs plus reference via 75-Ohm BNC female connectors. Eight main outputs plus encoder output. Eight additional channels of auxiliary digital I/O on DB-25 female connector. All digital inputs are 75 Ohm internally terminated, unbalanced. Signal levels per SMPTE 276M/ AES-3ID-2001. 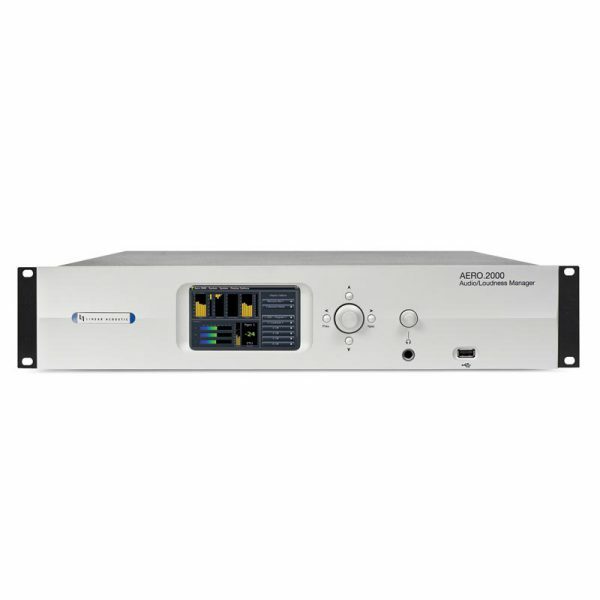 Auto-sensing HD/SD-SDI (SMPTE 292M/259M) inputs, up to 1080i/60/59.94/50Hz. 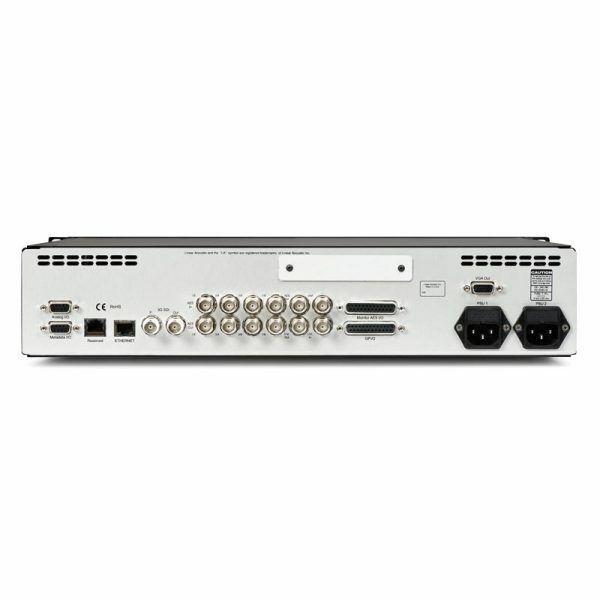 De-embed up to 16 channels from applied SDI signal, process and/or encode, re-embed up to 16 channels. Supports SMPTE 2020 A and B VANC metadata. 1/4’’ (6.35mm) front panel connector with volume control. Gigabit Ethernet via RJ45 supports included TCP/IP remote control application; HTTP server included for get/set control of all parameters. 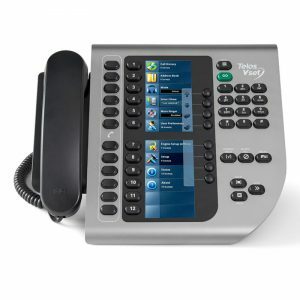 Windows®-compatible TCP/IP remote control Included application for full setup and control, ITU-R BS.1770 metering for all programs, encoder statistics, and return audio for remote monitoring (network speed permitting). HTTP server allows get/set control from PC Front Panel Controls and Indicators. Rotary encoder and control keys plus color display and headphone output. Net weight: 13 lbs. (5.9 kg), approximate. Net weight: 18 lbs. (8.2 kg), approximate.